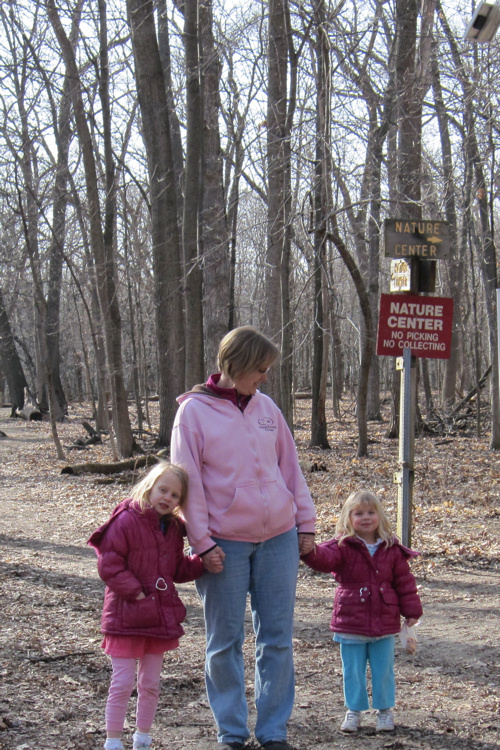 One of our favorite places to visit is the Nature Center. It’s a beautiful place along the river in a forest preserve not far from our house. Huge cages sit in a row along a walking path. Each cage holds one animal that has been rescued and can now longer survive out in the wild. There is a skunk whose scent gland was removed when she was a pet, and a bald eagle who was hit by a car. One of her wings is missing. There is a red-tailed hawk, a barred owl and a Great Horned Owl. There is a red fox with a bushy half-tail. Yes, the animals get whole rats, or mice, or chicks. Except for the skunk, who is a vegetarian. The rangers always tell us about the animals when we visit, and we have learned something new every time. During one of our latest visits, we learned that in the winter, Illinois is the state with the largest population of bald eagles outside of Alaska. Bald eagles love our miles and miles of coastline. What, you say? How can a Midwestern state have a coastline? Our coastline is on the western border of Illinois along the Mississippi River, a river which doesn’t freeze over the winter and makes a perfect fishing spot for the eagles. As we crossed the Mighty Miss on our way home from Iowa this December, we were all looking for some bald eagles. I had spotted three or four during another trip across the river, and we were hoping to spot one this time around. Unfortunately, there were none to be seen. We were leaving the river and heading back into farmland when I spotted a huge bird with a white head and yellow, pointed beak flying toward the river. “There’s a bald eagle!” I yelled and pointed. The girls squealed with delight. We had seen our bald eagle after all! On Saturday, we were eating lunch when Emmy spotted something interesting out our window. “Look at that big bird!” she told us. There was a rather large bird sitting in our maple tree, grooming itself. Ed and I love nature, but we don’t have much knowledge about wildlife. This bird, however, gave us a lot of opportunity to study it. As he was sitting in our tree, we were able to grab our binoculars and take a good look. I looked up the bird’s various features on a bird identification site, and we think it was a Cooper’s Hawk. We spent at least half an hour gazing a this bird through our windows, and Emmy and Lily were having a lot of fun! Ed and I didn’t start out to make our little girls birdwatchers; we just wanted them to enjoy the outdoors. Their enjoyment of the wildlife around us has been a fun bonus! That is very cool you get to see bald eagles sometimes and a Cooper's Hawk – interesting! I enjoyed you post! What a nice family activity. We also have bald eagles in MN along the Mississippi. This weekend, we went up to the North Shore of Lake Superior and saw one flying high just above us! They are amazing creatures. I was thinking there would be bald eagles all along the Mississippi in other states, too. I wonder how far south they go? I love the new look of your blog Ginny! Seeing a bald eagle….how awesome is that?!? The weather we have been having is great to take advantage of being outdoors. I'm sure it will be short-lived though :(. Might as well take advantage of it while it is here, hey? Today is supposed to be another nice day by us…but snow is coming tomorrow! Had never heard that Illinois has bald eagles. Sounds like you have two excited bird watchers in your house! I never knew Illinois had bald eagles, either! It's exciting to see one in the wild. My husband is afraid to go out in our backyard at night because of skunks! We have raccoons and possums, too. Amy, I think I'm "allergic" to birds!